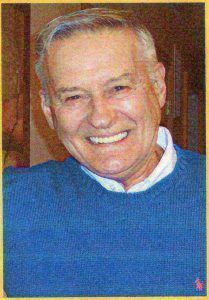 Frank L. Zielinski, 88, of Todt Hill died suddenly on Wednesday, Dec. 14, at Richmond University Medical Center. Frank was born Nov. 13, 1928, in Staten Island and lived in Mariners Harbor as a child. He was at the present address since 2004. He worked as a tank and pump mechanic for Mobil Oil Company for over 35 years and retired in 1990. He served in the U.S. Army during the Korean War. Frank attended the Salem Evangelical Free Church and formerly served in the Royal Rangers, a Christian Boy Scout group, for over 30 years. He enjoyed woodworking, bowling and was active with the VFW and the Korean War Veterans Association. He is survived by his loving wife, Theresa (nee Pietrocola) and they would have been married for 63 years in March 2017. He has three sons, Douglas F. (Nancy), Dr. Glenn D., and Bryan S. (Tara) Zielinski, along with his five grandchildren, Jessica, Steven, Eric, Tyler and Sawyer Zielinski. Frank also has two sisters, Fannie Nalwasky and Evelyn Montella. There will be a service at Cherubini McInerney Funeral Home (formerly Meislohn-Silvie), 1289 Forest Ave., on Friday evening at 8 p.m. and a brief prayer service will be conducted on Saturday at the funeral home at 10:30 a.m. Burial is at St. Peter’s Cemetery. Visiting will be today from 2 to 4 and 7 to 9 p.m.
Frank was a great friend. He was always there for me and my family. I will always remember Frank in my heart. Over the years he was there when I needed something done at my home. We shared time together in the Royal Rangers, dinners on Sunday after Church, and at many other events during the years. He will be missed and I know he is receiving his reward in heaven now.